We are in the era of the nutritionist. There is so much confusion around food and nutrition, and so much wacky advice flying around. This while Americans are just not able to make it to the basics of healthful eating. Nutrition-related chronic diseases continue to be the primary health issues, and each of us has our own variation of health and disease. 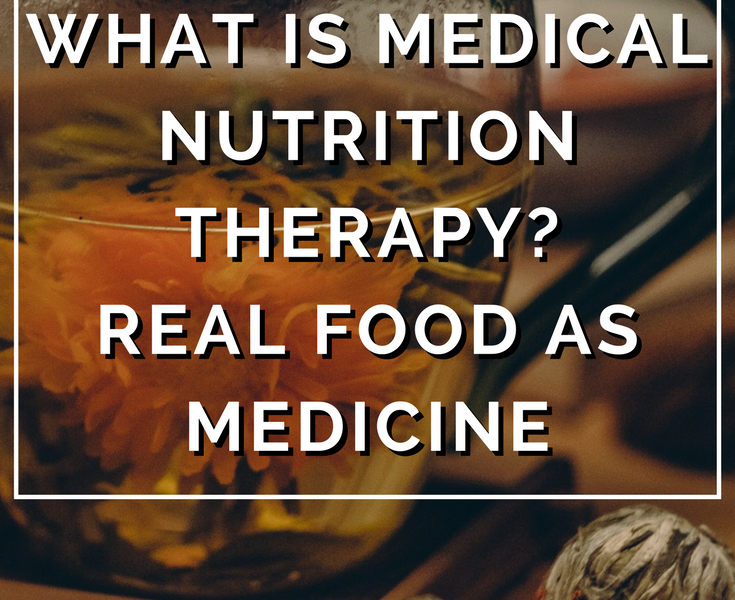 Because we are in a time when so much that sounds like nutrition is actually marketing and bluster, and so many who call themselves experts are so far from it, confusion reigns. Enter RDNs (Registered Dietitian Nutritionists) and MNT (Medical Nutrition Therapy). If you know me, you know that I am a mind-body therapist – I use things like meditation and gentle yoga practice as tools to help us cultivate the best of ourselves, and soothe us as we gather our courage and strength to sing our song, to sing our note. There is a large body of evidence that tells us how to manage a range of health and medical conditions with food and nutrition. 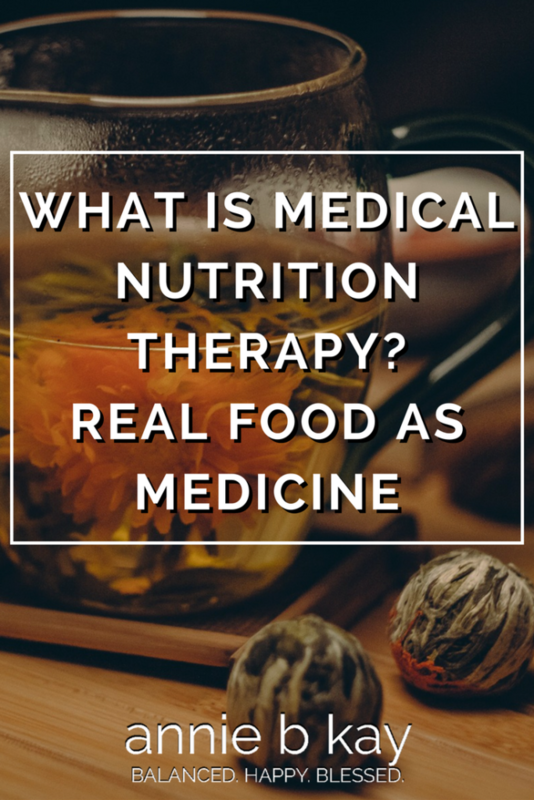 MNT, or medical nutrition therapy, uses that evidence and through a qualified therapist, translates that evidence into healing. While there is a range of nutritionists operating today, with various levels of education and experience, and I honestly believe there is room for everyone, I am partial to those who have a 4-year science degree and access to the Academy of Nutrition and Dietetics Knowledge Center for working with people with a medical condition. I am biased for sure, being one who sweated through all that nutritional biochemistry and worked in an ICU (intensive care unit of a hospital) writing TPN (total parenteral nutrition) orders to keep people alive until they could eat. Then I taught at Kripalu for nearly a decade, watching how mind-body used skillfully helped people with the will and knowledge transform. 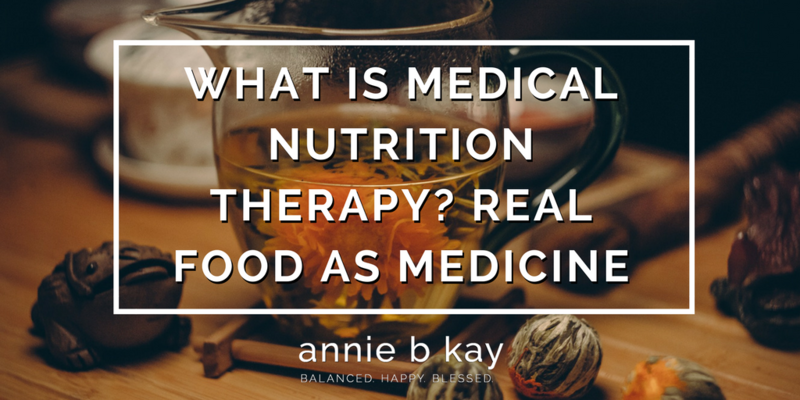 The combination of clinical skills and experiential practice are, in my opinion, the sweet spot when it comes to healing nutrition-related issues. What conditions are we talking about? I use an individualized approach. That includes an initial assessment of nutrition-related symptoms and medical history, review of nutrition-related labs and reports, and development of a custom way of eating that you enjoy and that adheres to evidence-based practice. We then co-create a plan to get there – your way. There is no such thing as failure, no such thing as relapse in this world – but there is learning, through loving self-compassion, how to navigate your life in its fullness. It’s a dance of mindful skillful effort, and surrender (that’s yoga!). Within that list, do you specialize? While I can help address any of these conditions, and they all have relating threads, I particularly like to work with weight, women in midlife, and digestive issues. I have also had a personal experience with cancer, so helping people with that interests me. Depends. I am a licensed nutritionist in the state of Massachusetts. If you have a medical condition and live in the great state of Massachusetts, or another state that does not have state licensure, it is worth it to give your insurance company a call to see if our work together can be reimbursed. For this, you will likely need a referral from your primary care doctor. If you are not insured, in another state with licensure or your insurance doesn’t cover, then you are what clinicians call private pay. It’s likely that our work together could be included in your health spending account if you have one. Bottom line, if you value your energy level and lifestyle, it’s worth it to have a skilled coach to help you move forward. My rates are $150/hr, and most people I work with do an initial assessment, then a half-hour twice monthly for 2 months, then monthly for 4 months. I’ve partnered with a practice-management group called Healthie. They provide an interface for us to work through, including journaling, billing and video conferencing. So, we can meet face to face in the comfort of your own home! I think telehealth is part of the future of medicine, and I am excited to be part of it. Ready to make the change? Let’s do it – Make an appointment now . 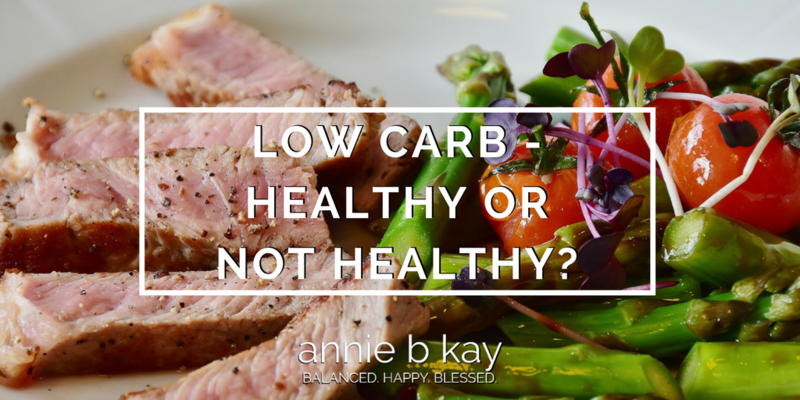 Low Carb – Healthy or Not Healthy? Bread. Chewy crusty bread dipped in a fantastic olive oil and a bit of sea salt. Nutritional friend or foe? Giving up bread, potatoes, pasta, and even beans because they are carbohydrate-rich foods is a decades-old strategy that’s been presented in a wide variety of popular diets, including Atkins, South-Beach, Paleo, UltraMetabolism, and now Bright-Line. 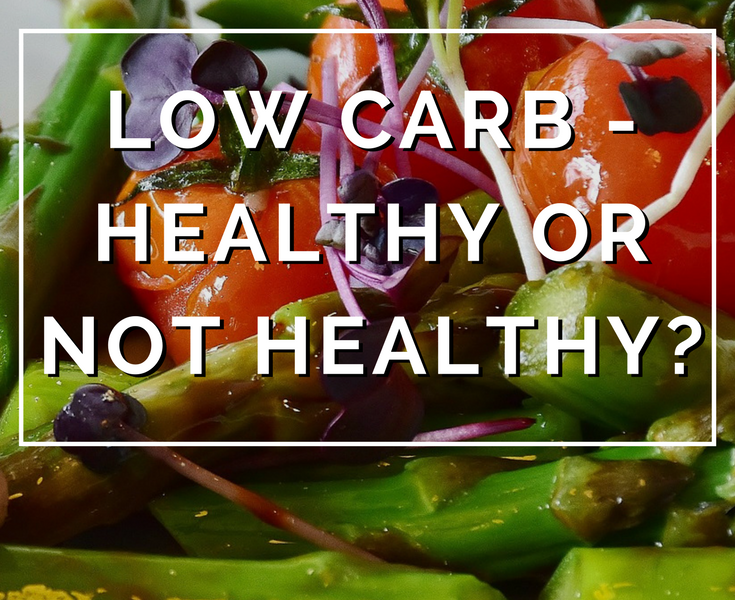 Just what is a low-carb diet, is it healthy for all, for some or no one? If you ask 10 people just what a low-carb diet is, you’ll get 10 different answers. That’s because the real clinical data on just what a low-carbohydrate diet is and if, how and who it helps is cloudier than you’d imagine if you believe what you read in the popular press. 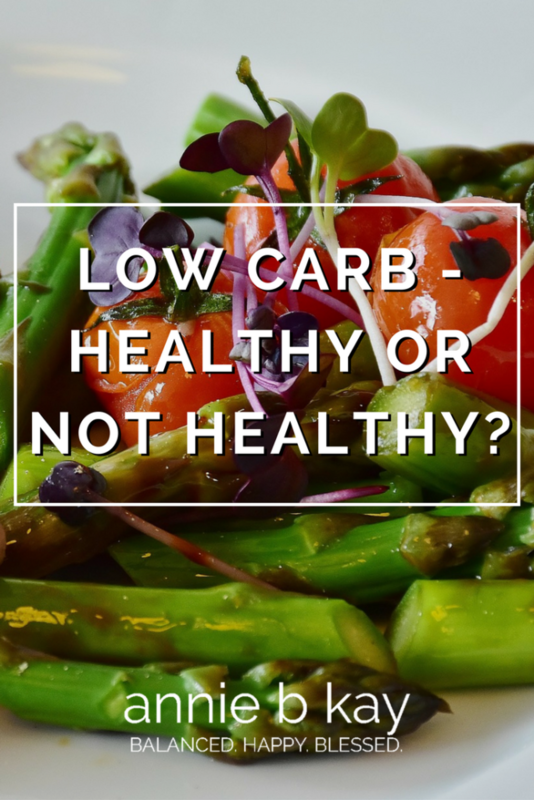 So, let’s begin with what a low-carbohydrate diet is and is not. Carbohydrates break down into sugars and are the energy currency of the body. We need sugar (glucose) for brain function and energy. Most glucose (what the sugar carb breaks down to and the fuel for the body) comes from carbohydrate-containing foods, but the body can also convert protein and fat into glucose (inefficiently and with side effects). The National Institutes of Health (NIH) set a recommendation of 130 g/day of carbohydrate, based on the amount of glucose needed by the brain and body. The Institute of Medicine (IOM) recommends that 45-65% of daily calories come from carbohydrate. The IOM also set a fiber intake recommendation of 25 g/day for women, and 38 g/day for men. For comparison’s sake, one serving of carbohydrate (a small slice of bread, or half a banana) contains about 15 g of carbohydrate. If the bread is white bread, it will not have much fiber nor vitamins and minerals unless they are added in the process of fortification. The half banana has about 3 1/2 g of fiber and is a good source of vitamins B-6 and C, potassium and other minerals. So, the banana is what a nutritionist would call more nutrient-dense – that is, calorie for calorie, it gives you lots of nutrients – it’s a higher quality carbohydrate than the bread. To understand why we’re so low-carb crazy, let’s look at the Standard American Diet (yes, SAD). American men are eating about 287 g of carb per day, and women about 177 g. One-quarter of this carbohydrate intake is from added sweeteners (sugar). Added sweeteners have no nutritive value – not one vitamin or mineral, yet are packed with energy (calories) and absorb very quickly from the gut into the blood stream. How rapidly sugar is absorbed is one of the problems with a highly refined diet high in processed foods (which often acts like just more sugar) and sweeteners – they make you hungry for more. Fiber (which slow the rate that sugar is absorbed from the gut into the blood stream) intakes are about 17 g for men, and 13 g for women. Please note that these intake numbers are changing and not in a more hopeful and healthy direction. Get the picture? American are eating plenty of carbohydrates, and the type of carbohydrate we are eating is high in sugar and low in fiber. Really low quality, low-nutrition food and lots of it. More than the switch from flour and processed grains to whole grains. It’s more than giving up sugar. A low-carb diet dips below that 130 g/day recommendation of carbohydrates. The most restrictive phase of the Atkin’s diet has 20 gm of carbs in it. When you head down to this level of carbs you are getting your energy from fat and protein. This puts you into ketosis, which is the creation of ketones. While not dangerous in the short term if you drink plenty of water to help your kidney’s flush the ketones out of your body, a common side effect is nasty (nail polish) breath and sweat. It makes you smell, but you’re losing weight and not hungry. My opinion is that over time, this is a very hard diet on your body, and there’s no good data that shows over time people lose more and are healthier from this strategy than others. So, what do you give up to follow a low-carb diet? Bread, flour, all grains, even whole grains 🙁 , all fruit :(, starchy vegetables 🙁 like sweet potatoes, corn, peas and squash, beans :(, usually alcohol and of course sugars and sweeteners. Lots of meat, fish. Lots of fat. Non-starchy vegetables (which I find many people forget). Usually nuts and nut butters. There are a slew of processed low-carb foods of questionable quality. Ketosis is different from diabetic ketoacidosis which is a much more dangerous condition of too little insulin and resultant high blood sugar. Like any highly restrictive elimination diet, low-carb will work because you are eating less. It’s energy-balance basics. What’s handy about low-carb diets is that when you increase your protein and fat intake, you are less hungry than if you ate carbohydrates. So, as a jump-starter to healthier eating and a means of feeling the promise of a lighter body, they can be helpful. Over the long-term, though, this pattern suffers from what all weight-loss diet patterns suffer from – they are hard to stick with over the long-term and ultimately people struggle to maintain them. There are some additional concerns about this pattern, too. I’ve listed them below. Your body adjusts to low carb and burning fat as fuel. When you eat a carb again you can become a super-efficient fat-producing machine. So, only do this if you are going to maintain it for the duration. A risk for constipation increases – drink lots of water. Your poor kidneys are working triple-time. If you do low-carb, you’ve got to eat your non-starch vegetables, which is a source of fiber that will help prevent constipation. Drink drink drink water. Low-carb diets tend to be extra high in saturated fat. While a bit of saturated fat, particularly if it comes from healthful sources like grass-fed organic dairy or grass-fed meats, can be fine, even healthful. When you are eating large amounts of poorer-quality saturated fats, however, the literature still says (despite what you’ve been told of late) you are increasing your risk of heart disease. Sorry. We really don’t know the long-term effects of managing your weight with this strategy. Regular mass-produced bacon, red meat, cream cheese, and butter in limitless qualities is just not healthy. Because the glucose you get from carbohydrates is the brain’s (and body’s) preferred fuel source, many following this diet complain of low energy and foggy thinking. Most of the quick weight you lose is from water – not fat. When you eliminate whole categories of foods, you increase your risk for inadequate nutrition – and low-carb is usually low in a host of vitamins minerals, antioxidants, and fiber. I see this over and over again. Over time, you increase your risk for disease and undermine the smooth functioning of your body. If you have issues with blood sugar like pre-diabetes, or diabetes, low-carb can be a great strategy to get your blood sugars under control. I’ve seen it work quite a bit. If you know you are over-doing sugar and want a short-cut to moderating, a few days (I find 5 does the trick) of low-carb tends to reduce your cravings. Work with a qualified nutritionist to ensure your diet is rich in nutrients while you do this. For most of us, let your carb-savvy diet be minimal in refined sugar and refined carbohydrates (cereals, breads, and sweets like cookies and cakes). We all live with or around families and friends, and if your family is anything like mine, cake is part of social events. Have a bite, or a slice and enjoy it. Then get back to your regular practice of whole-food plant-based eating. The diet that has the most evidence for long-term health is a whole-foods, plant-based diet. Enjoy nutrient-dense high-quality whole carbohydrates you tolerate like whole grains, whole fruit, vegetables including beans, sweet and white potatoes and other starchy vegetables. If you struggle with weight, have these higher carbohydrate foods with a meal that balances whole food carbohydrates, protein, and fat. A bit of each. The Oldways Ancestral plates do a good job. We each have a balance of eating, managing stress (which I think is a major cause of weight gain today, in addition to poor-quality food), being physically active in ways you enjoy, and self-acceptance that works. If you struggle with weight, only do the lifestyle changes that you continue forever more. That add to your life rather than restrict. Over time, you will build a healthy and flexible lifestyle. If you love bread (like I love bread), and are thinking about managing weight, have a little – just not every day at every meal. I think of bread like I think of dessert – it’s a special treat, not an everyday part of my diet. Confused about what’s healthy and what’s not? You are not alone! It’s a challenge to follow a healthy lifestyle in our anything-but-healthy culture. But for most of us, it’s worth the effort to be the most vibrant, healthy version of ourselves that we can. No matter who you are – how old, how physically or financially limited – you can improve your life by making healthier food choices, moving more, and connecting with others. As a nutritionist for nearly 30 years, I’ve seen people transform their lives through modest lifestyle changes practiced over time. 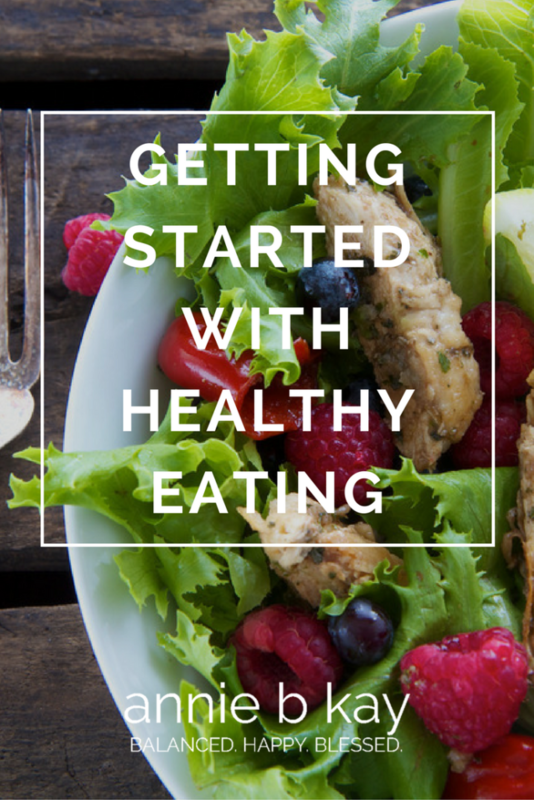 Here are a few ideas for laying the groundwork for healthy eating. Don’t believe the hype. The idea of a pill, potion or diet that will magically excuse you from the reality of how our human bodies work can feel irresistible. But like low-payment mortgages and other investment schemes we’ve learned so much about in the past few years, if it seems to good to be true, it probably is. The FDA recently warned that some diet aids can actually do serious physical damage. The only way for the average person to stay healthy over the long haul is to eat a healthy diet that honors their needs (and for most, features plants) and to be adequately physically active. Within that guideline are limitless paths to get there. The pill or diet might help with a jump-start, but eventually, we all live within the laws of our human physiology. Take a positive, additive approach. Weight loss or getting healthy is best experienced as an exercise in getting to know yourself and how your body works. One key is to find some joy – some fun, in learning how to care for yourself well. In my decades of counseling people on lifestyle, I find it’s best to start by adding good things – like physical activity, and servings of fruits and vegetables. That way, the foods and activities that don’t serve you (like French fries, donuts and Law & Order marathons) tend to fall by the wayside with less sacrificial pain. 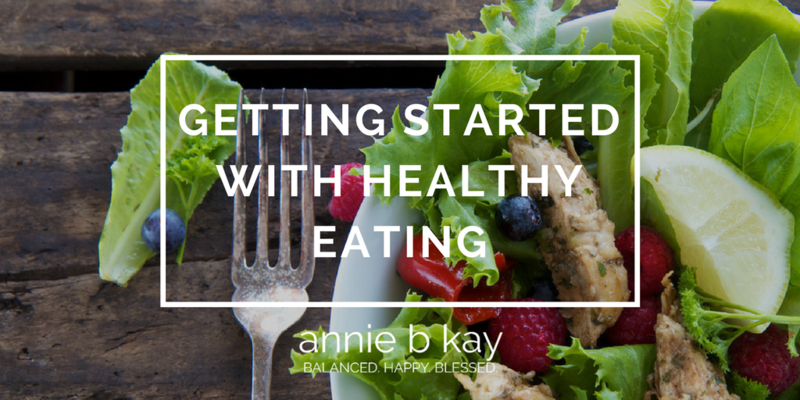 There is a way to enjoy what you eat and follow a healthy diet. Here’s an exercise: on a piece of paper, make a list of things that fuel your life force. List things large (vacation on the beach!) and small (get myself flowers! ), expensive and free (call an old friend!) – everything from getting outside, taking a great bath, being active, reading – whatever fuels your passion, or is fun, or feels good. Here’s a tip: people who take excellent care of themselves give themselves things that fuel their life force. And taking excellent care of yourself makes a healthy lifestyle easier and more fun to stick with. Know where your journey begins. There is a slew of good (and free) web-based assessment tools to help you figure out what and how much you’re eating right now. That’s really the first step in finding out where you want to go. 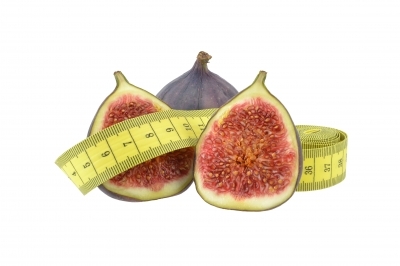 Step on the scale, find your BMI and see where you are on the sliding scale from underweight to obese. For most of these assessment numbers, see them then set them aside, and focus on the habits. It’s easy to get fixated on “I knew I struggled with weight but now I see I’m obese – I’m no good and it’s hopeless.” When those kinds of thoughts pop up, see if you can turn it around to a positive, like “I knew things were getting out of hand, and now I know the situation and can do something about it – I can do this.” So long as you are focused on positive change and positive habits your life is likely to get better. Everyone has difficulty with something in their life. It’s how you work it in your mind that makes the difference between success and spinning your wheels. Remember that with diet, “relapse” always happens. One of my wise teaching friends at Kripalu says “progress not perfection,” and with diet, there will always be a wedding or dinner with friends or just a day when you haven’t eaten well. Often, people feel like they’ve failed when they’re not perfect, and slide into the land of “it’s too hard” and “I can’t do this” and “it doesn’t really matter,” and they give up. It can be months before they try it again. If only they knew that it’s natural not to be perfect! If you ‘fall off the wagon’, dust yourself off, have a glass of water, forgive yourself and get back to practice as soon as you can – the same day, the next morning, but soon. 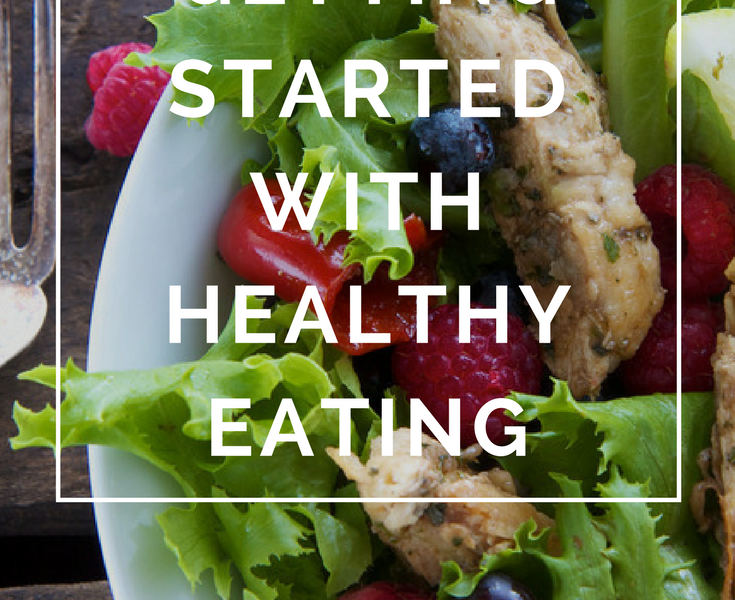 Think about what made healthy eating too difficult – that can be an experiment for next time. That’s how real change happens. Here’s to your practice of fun and good health. 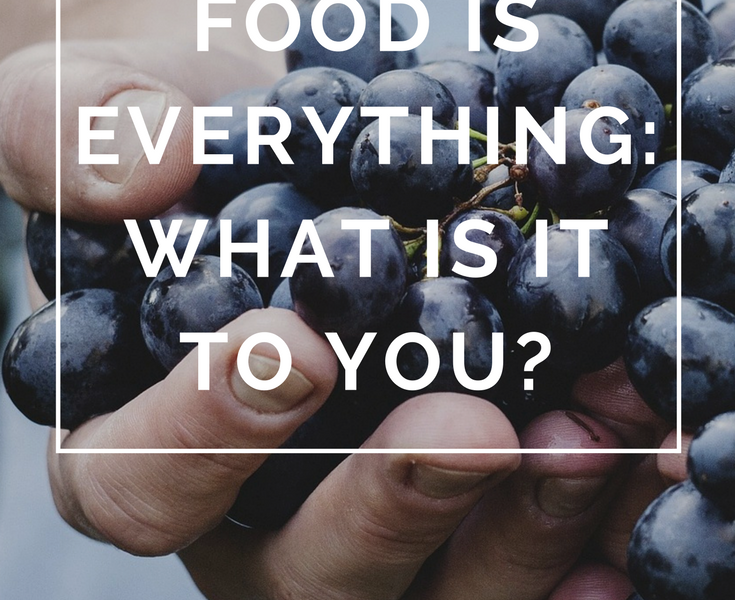 Food Is Everything: What Is It to You? 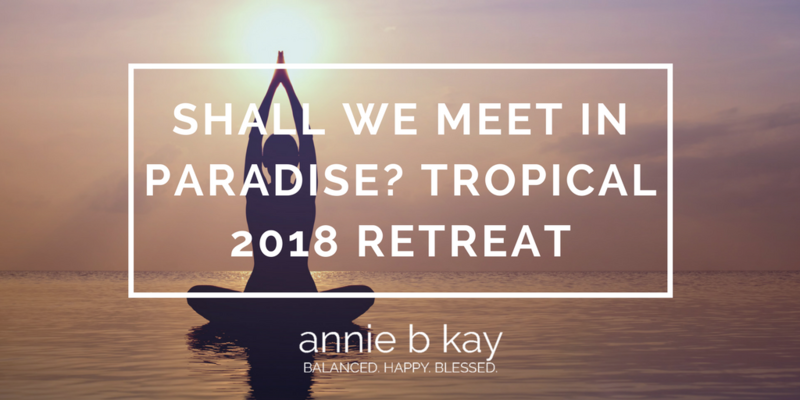 Want to stay connected and join others on this path to wholeness? The best way to do that is to sign up for my monthly newsletter to get tips and resources to support you. You can also check out opportunities to study with me. 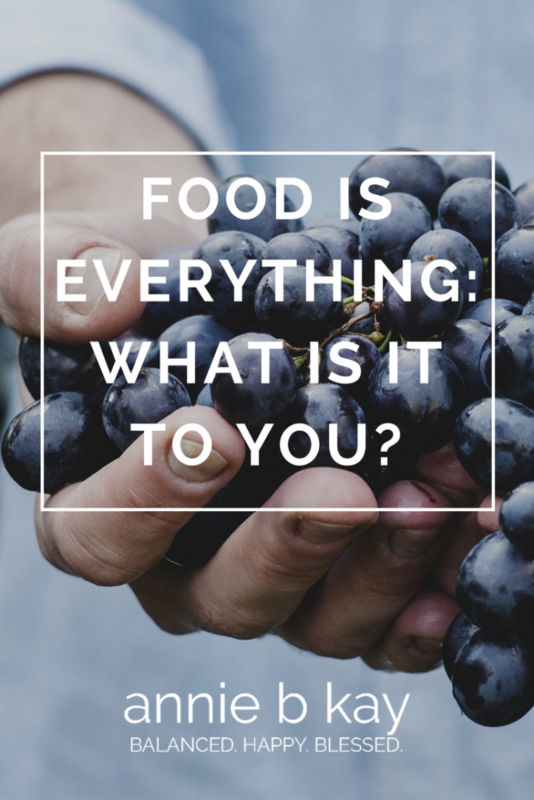 When I first chose to study nutrition at Cornell so many year ago, I could not have imagined the evolution in what we think about when we think about food. Nor could I have imagined the changes in the food we eat in this country. Food, here and now, is just so everything. It’s the center of most gatherings of family, friends and colleagues. What we feed others communicates how we feel about them and expresses to them who we are. We have intimate dinners, casual nights, celebratory feasts. To be a good friend, feed someone. To show love, feed someone. Growing up, the quality of food available not so directly related to income as it is today. Now we have food deserts, over-consumptive malnutrition (the real epidemic of weight, where those without eat a higher-calorie yet lower nutrient-density diet), and food marketing is disguised as real nutrition information or education. If you are poor in America, you just don’t have access to high quality nutritious food. Thank the Lord for WIC and other food assistance, which can close the worst of the gap if used well. What you choose to eat impacts the planet and you can’t get around that. Meat is rich in every sense of the word. It is nutrient dense, resource-rich, high-impact, and energetically hot stuff. No inherently evil, but easy to overdo, and human nature seems to make us overdo it in spades. Today we eat twice as much protein as we physiologically need, yet new diet after new diet tells us we need more more more. The truth is we don’t if we cultivate a balanced whole-food active life. Every 5 years, a big bill works its way through congress. That bill, the Ag Bill, determines to a great extent what America eats. What America eats these days is subsidized GMO soy, factory-farmed meat, dairy, corn (to be made into the high-fructose corn syrup which researchers agree is undermining health on a grand scale). We can change it – the last round had a bit of funding for organic fruits and vegetables, and linking school lunch with farmers’ markets. You can vote on this by calling your congresspeople and insisting on the funding shifts you want. I personally have an emotional relationship with food. Changing my diet takes a long conversation, and a bargain with myself. Do this and I’ll treat myself in this way (often a massage or oil dip at Kripalu healing arts, or a new get-up). Food is beautiful. It’s smells, textures, and of course, flavor absolutely thrills most of us. Yum. I’m working on a book project on whole food, and how to make it as easy as possible to eat healthfully. There’s no getting around the need to come into close personal contact with food when it’s whole. You have to cut the bottoms off asparagus and put fresh spears in water. You have to trim herbs and place them in water. You have to crack the egg, (and hopefully, put all the scraps into your compost bucket – wowsaa another spring topic!). We can do things to make cooking efficient and as easeful as possible, but ultimately, you have to revel in the sensuality of whole food. I could go on – it’s love! So, take a little time considering a two-way relationship with the whole food you cook and eat. As you slice a carrot or dice an onion, take a breath to wonder what the carrot would say to you if you’d listen? Who is that onion, anyway?! This is why changing your diet is such a huge deal. Because when you change your diet, you change everything. You become someone else, bite by bite. So, be easy on yourself if you are finding it challenging. Notice what’s hard, and press on. Make the healthful choice anyway. If you fall off the wagon for a meal or a day, get right back on. Practice practice practice, not perfection. 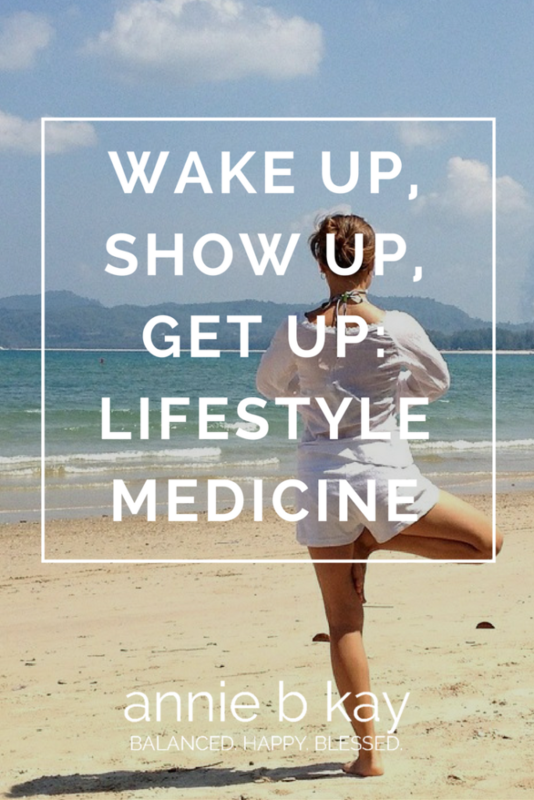 I’m hearing more about lifestyle medicine these days (thank goodness! ), including another movie “What the Health” on the problems of “big health” (pharma-central health care and advocacy, processed food and other areas where $ over-rides health). Like life itself, it’s more complicated than good guys and bad guys. I love health advocacy groups, and taking funds from big pharma, is well, OK – so long as it funds lifestyle – and while pharma is often used when lifestyle ought to be the first line of treatment, drugs do save lives (with side effects). It’s just not black & white. And inadequate ways of handling stress (we love us some comfort food & screen time). All add up to bodies more likely to express the chronic disease tendencies in our family histories. We have so much room for improvement! In the post-truth age, I am going to do my best to tell you my whole truth on this. It’s hard to live well today. It’s nearly impossible to eat well all the time. That’s OK, because you do not have to be perfect. If however you have biomarkers of disease (like high fasting blood sugar and A1c, lipid labs suggestive of cardiovascular disease) or symptoms (achy joints, weight gain, skin issues) that something is out of balance, you’ve gotta give it a try. You’ve just gotta keep trying. I love to eat and sometimes overeat (my 55 year-old metabolism is slowing down down down despite exercise, and that’s probably a good thing in the long run) so managing my weight is a constant companion. So, I practice. It’s hard to get adequate physical activity. The evidence and advocacy groups say you need at least 30 minutes of moderate movement most days of the week. Ten-thousand steps might need to be elevated to fifteen (which doesn’t matter if you, like me, sometimes come in at the 1,000 range!). In order to be healthy, as you age, you’ve got to move. Quite a bit. As much as you can. Your life needs to be physical (even if you have limitations – if you can use your arms but not your legs, use your arms. There are a million ways to do it (I walk and clean and garden and do yoga and even, recently calisthenics classes – weights). I still need more. I sluff off. When I do it I feel better – less achy, higher energy. So I practice. It’s hard not to get stressed out. Life is upsetting. We are past the Co2 tipping point, for goodness sake. That’s really bad news. We are losing a lot and need to learn to let go. But what we are losing often feels really important. And so it is. That’s why I carry around a book that helps me work on non-attachment. My own personal practice is non-attachment while caring. It’s tricky, but a really good practice. It works for me. So I practice. 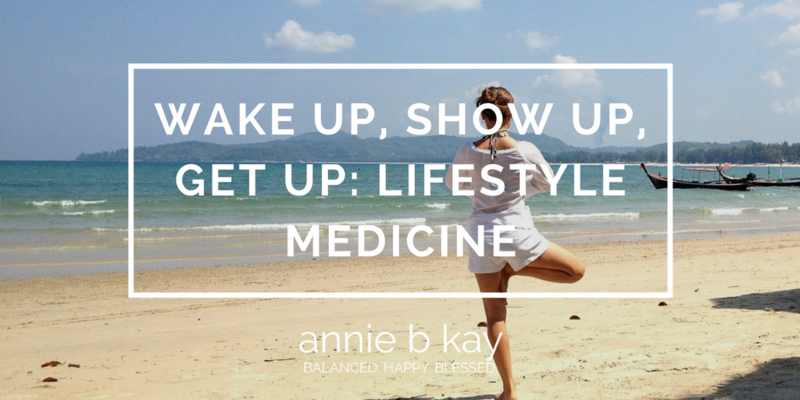 To work lifestyle medicine – the heart of preventive health, or being in balance with the earth and our own bodies, we do need to wake up. To not buy the cultural norms being sold to us. To know that both fake news and true healing are alive and well in the food and health industries. Health is in the nuance – in the middle ground between fake and true. We have to know who we are and show up for our own lives in a real way. To be honest, I don’t care what you eat in any given moment. I do care if you enjoy it, and very much hope that you do. Whatever you decide to eat, decide to do, decide to be, do it all out, have fun with it, learn from it and carry on. There is a full, true, healthful version of you in there, and I so wish that you dance in that version more of the time. I can’t see a way around getting up. We have to participate in our lives in a physically and mentally active way in order to be healthy. We need to dance and clean and hunt and play golf and badminton and what ever else we love to do. 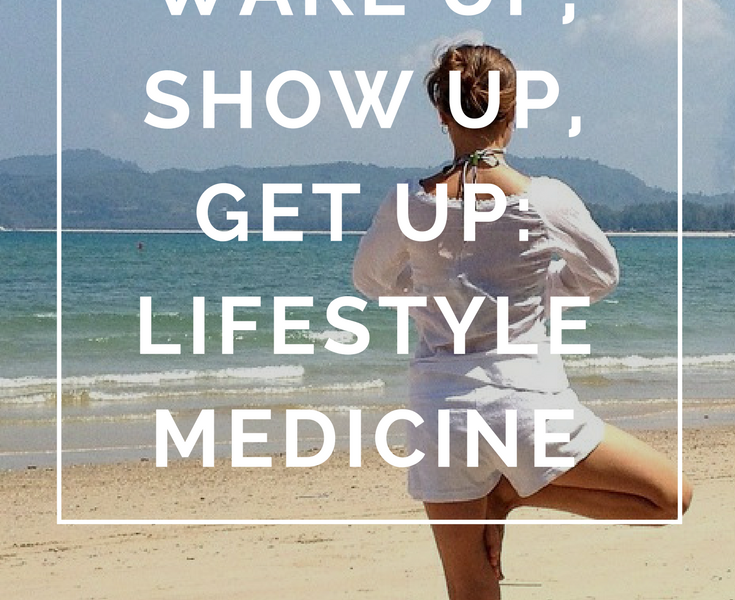 At this point in time, lifestyle medicine is a little radical – a little against the grain. It’s a little uncomfortable and might feel a little judgmental – who do you think you are, doing all that self-care?! That’s a really good questions. Here’s my answer of who you are: you are a divine expression of God. That’s why you deserve to be your fullest expression. That’s why you deserve to take fantastic care of yourself. Go forth and practice! Let your freak flag fly! Sign up now. Space is limited and this will sell out quickly. Those of you who know me know that I absolutely love to combine vacation and learning. 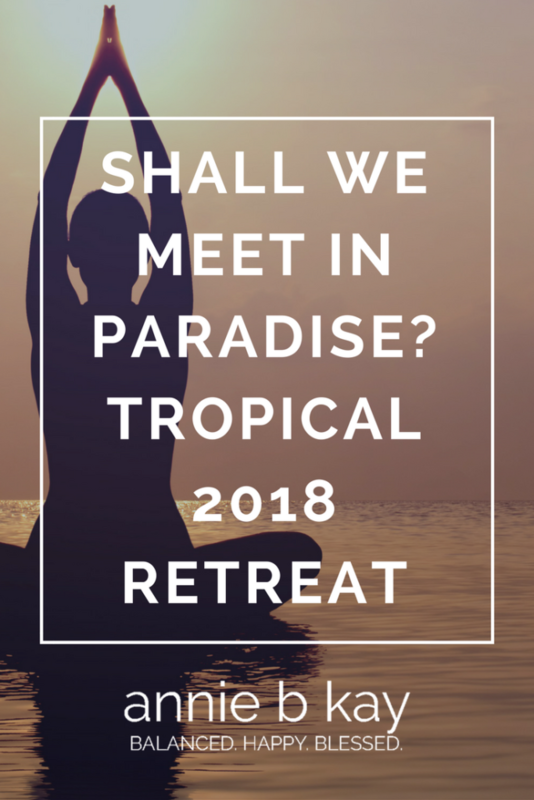 In 2018, I’m offering it to you: let’s meet at a beautiful spa in the tropical clouds of Costa Rica for deep support and directed self-inquiry. Deepen your relationship with your physical body with gentle progressive yoga and meditation. Enjoy food and all that nourishes through mindful practice and interactive learning. Gain insight about your one precious life through conscious group share, guided imagery, and Shamanic journey. Get clear about and support your full, true, gorgeous expression of you. Room & Board: Ranges from $702 (double in a glam-tent) – $1627 (single in the fanciest rooms). Prices subject to change (a little). 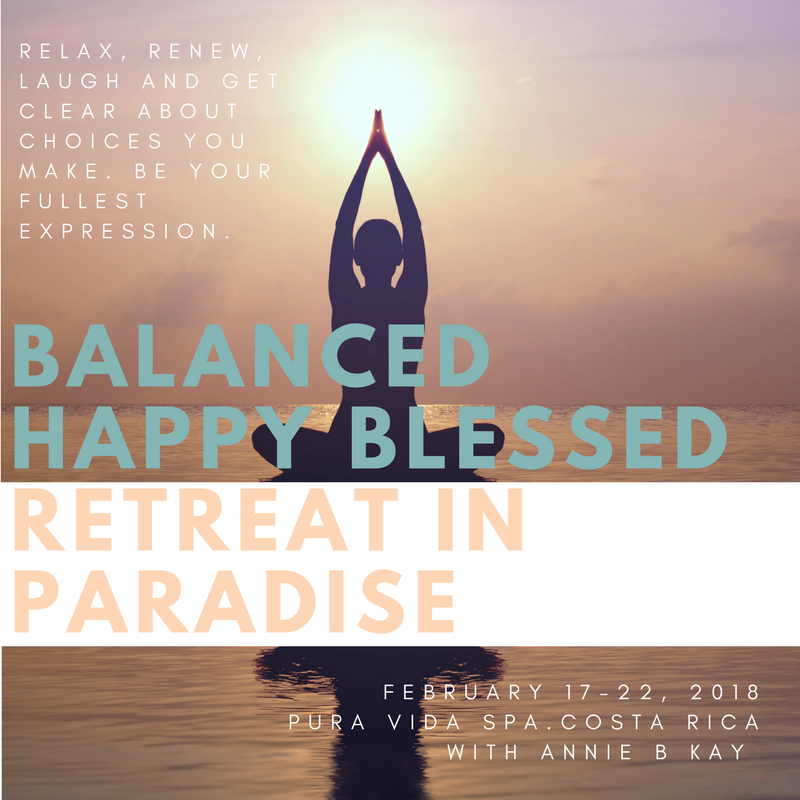 Pura Vida is a gorgeous retreat about 20 minutes from the San Jose airport, has spa treatments (separate), hosts excursions (separate). 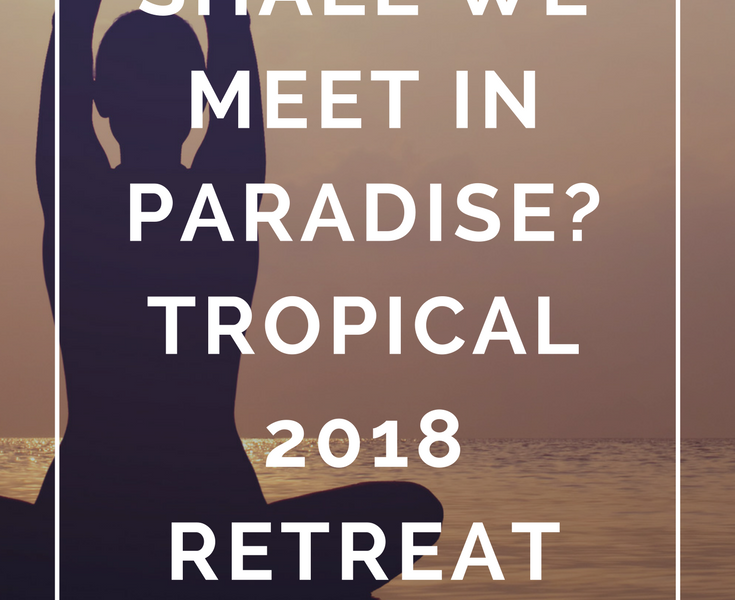 If you go you might spend a few days at the beach before or after the retreat. Happy New Year! It’s that time again! Time to review the year that was, and reset our course for the possibilities ahead. I honestly don’t know too many people who had a stellar 2016, but I know you’re out there. 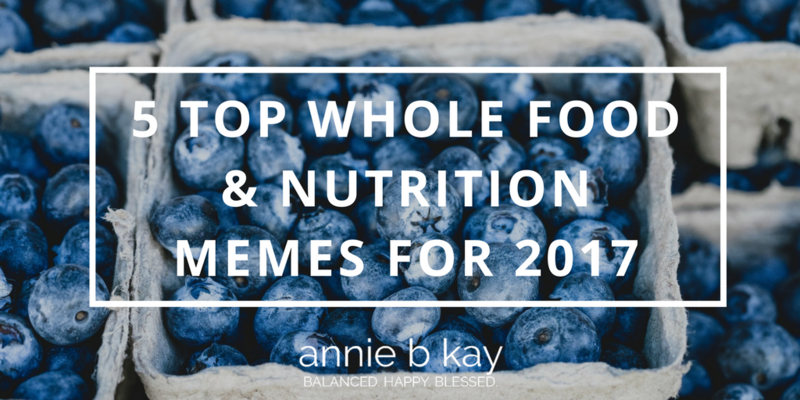 Here’s a round up of the top whole food & nutrition memes I see out there. Prediction: 2017 will be the year of the skillful – we will be challenged! For those who are clear about who they are and what’s real, and roll up their sleeves to serve others and have a good time, it will be a good year. So, let’s eat! The mega-trend is AUTHENTIC. REAL is in. So, your practice of discernment – of separating the true from the pretenders – is the practice of the year. Spicy shots! It all began with the re-emergence of Fire Cider (and the bru-ha-ha that followed when an upstart trademarked a beloved herbalist’s recipe – couldn’t this have been prevented with a kind and appreciative phone call?). Anyway, I just whipped up a new recipe on this concept that does not require steeping for 6 weeks. It’s not the original, but it has increased our Free Fire Cider consumption and has been keeping us warm this month. Recipe coming soon! These fun little morning shots are warming and nutrient dense – natural preventive nutrition of the very best kind. This is my favorite food trend of the year. Bottom’s up! Post-paleo Real-paleo – return of the (whole) grains! Paleo taught us a lot – it taught us to think about our genetic imperative (just how do we feed humans?). It taught us that refined foods (even those with a Paleo wrapper), refined grains, and refined sugar are not our friends. Paleo man (that famous 10K-year-old fellow) did not, however, eat bacon. He didn’t eat meat 3x per day. He sure didn’t eat modern grain-fed hamburgers, even without the bun. I’ve read a number of analysis suggesting he ate more than 110 gm of fiber (most Americans get 5-14 gm in our refined diets). Now that the paleo-frenzy has subsided, we are re-appreciating whole grains, and enjoying them as tolerated. Let’s hear it for balance. Authentic quality animal & fermenteds! 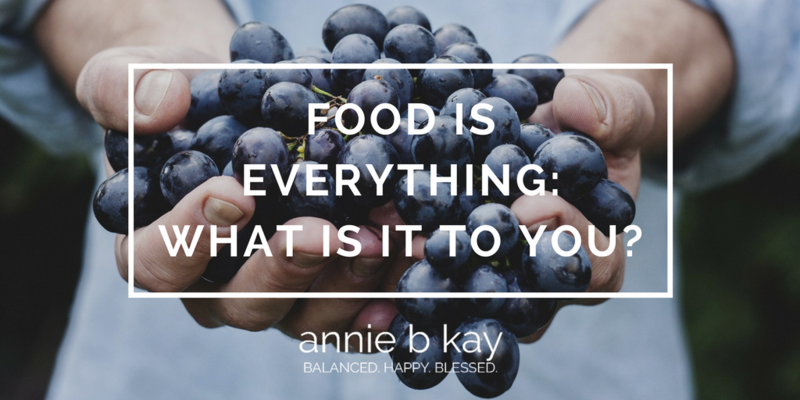 As my friends and excellent nutritionists John Bagnulo and Kathie Swift say – you are what they ate. Our great-grandparents didn’t need terms like organic and grass-fed, but unfortunately, due to the duplicity of marketing, we do now. We are swimming in poor-quality food, high in calories and low in nutrition. So, to improve your diet, if you eat animal foods, choose only those that are raised as nature intended. Cows are designed by the universe to live off grass, not grain. Chickens are healthy and happy when they are eating bugs and grass. This year, try your own fermented food recipes and include a little something fermented every day. Revenge of self-acceptance. This year the NIH taught us a new phrase: metabolic adaptation. It means that if we gain weight and then lose, there’s a chance that, pound for pound, we will need fewer calories than if we hadn’t taken that weight gain sidetrack. Sigh. Does it go away over time? Something in me tells me that it does, but not to the degree we’d wish. So, enter self-acceptance. If you can follow a preventive health lifestyle regardless of the number on the scale, and you sustain it over time, you will win. You will look better, feel better and probably live longer. Will you reach your high school (or college) weight? Will you do it without dealing with your own hunger and satiety issues? Probably not. Smarter supplement use. Supplements can be powerful medicines but are generally over-used and generally of really poor quality. Taking every supplement you hear about, and buying the cheapest version you can find, is a losing strategy. I only suggest someone try a supplement to address a lab value or a symptom, find the highest quality you can find & afford, take as directed and watch to see if you get the result you are seeking. 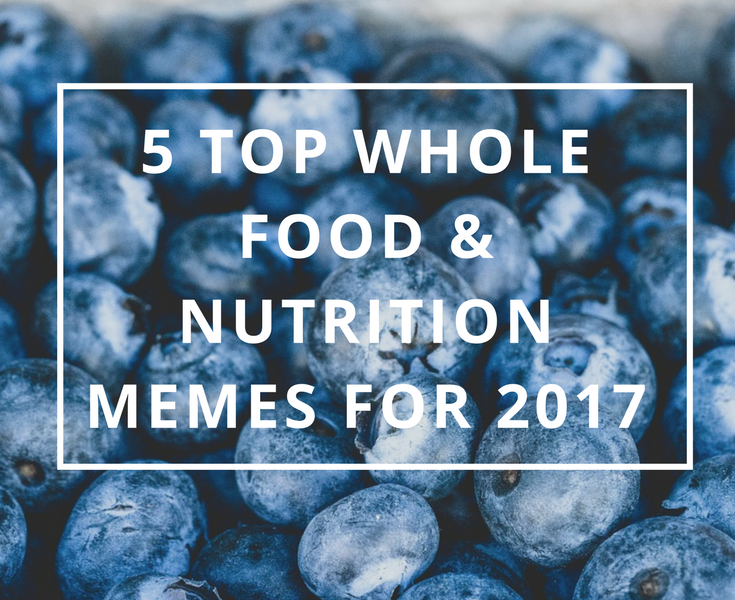 I also keep supplement use to your top 5 (and 5 is a lot!). Run from practitioners that insists you need more. The right supplement at the right time can be a lifesaver, but food is so much more important overall. A qualified licensed nutritionist can work with you to sort which are worth it for you, and how to use supplements along with diet and lifestyle effectively. Are you a dietitian who teaches yoga and uses it in your professional nutrition practice? Well, Namaste dear ones – our numbers are growing! 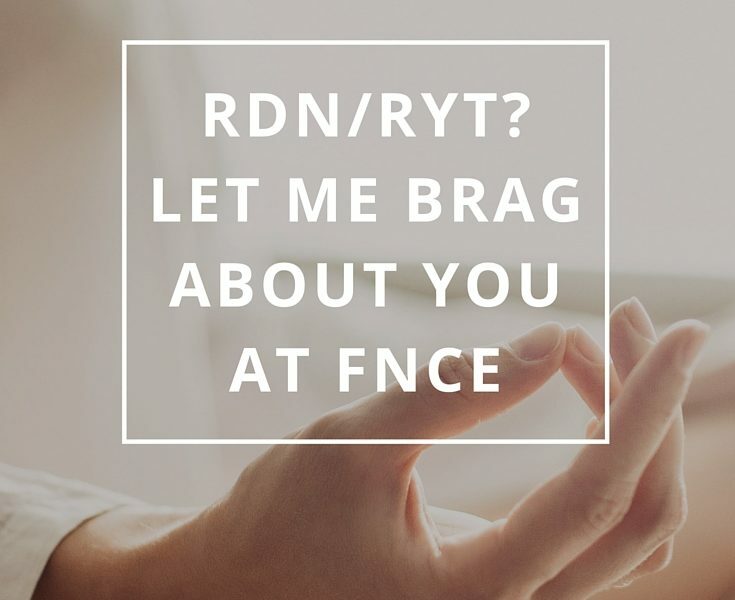 I have been honored to share on this new (and several thousand years old) field of yoga in dietetics at FNCE twice thus far. My presentation colleagues are Dr. Sat Bir Khalsa from Harvard and Anu Kaur, an RDN/RYT dietitian with the NIH and in private practice. We are delighted that we’ll be presenting again in Boston in October. Our session (#203) is Sunday morning first thing – be there! Please complete the survey by August 1. This year, as part of the presentation, I am hoping to collect some developmental data on just how many of us are out there, who we are and our range of training and practice experience. I’d also like to get a sense of what this group would like now for support to develop this field. I will be presenting the data from this survey, and will also feature as many of you as I can – your beautiful websites, active communities, training and books appreciated. Thank you so very much for participating, and for your work in this area. 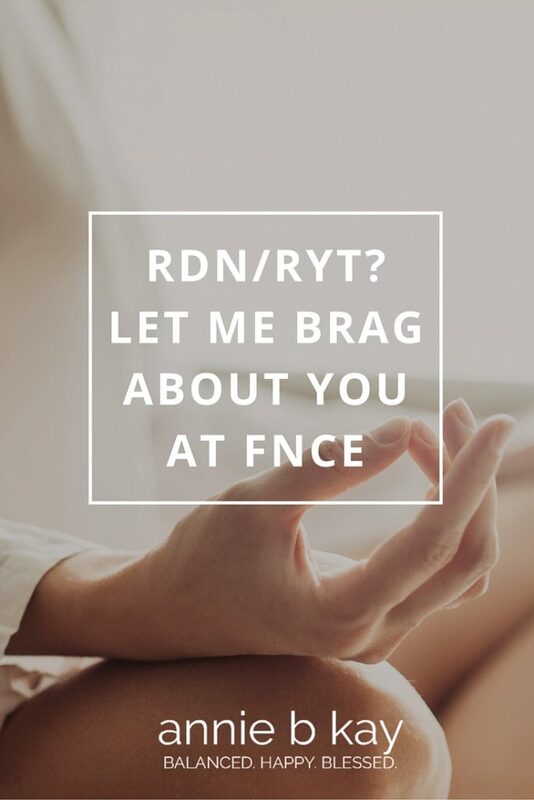 Can’t wait to see how RDNs across the country are weaving their expertise with the wisdom tradition of yoga. What's your health philosophy? Here's mine. I’m polishing up my site and wrote this piece on my philosophy of health and healing. What’s your health philosophy? I’ve been a clinical nutritional biochemist for over 20 years, a yoga teacher and therapist for 15, and a student of the psychology of how people change and of consciousness for all my career. Through my years of helping groups and individuals improve their health through lifestyle, I have seen hundreds (maybe thousands) of people who want to eat a healthful diet that supports who they are, but don’t. They can’t get started, can’t sustain it or get sidetracked by things that don’t work. It can be nearly impossible to eat well in our current (nutritionists call it toxic) nutrition environment. And our modern culture is filled with mixed messages about food, weight, and how we should look and feel. The same is true for other aspects of healthful lifestyle – we want to be physically active yet our worlds are set up to be sedentary. We want to practice mindful resiliency and stress-management yet we don’t have time because of the 24/7 culture of work, family, life. I am an unapologetic proponent of spirituality as essential to health. Mind body and spirit have been fractured in our modern culture, and re-uniting and fully occupying our multidimensional selves in balance with the earth is the path forward that resonates for me. One of the gifts of living right here and now is that we have the potential to be the re-integrators. We have at our fingertips the modern health sciences, and we also have new and accessible interpretations of ancient wisdom-sciences such as shamanic plant work, Ayurveda and tantra. Many practices from these wisdom traditions are proving to be effective modalities for addressing the mind-body-spirit split and toxicity of modern life. Practicing an integrated life (imperfectly but regularly) maintains wellness and supports dynamic well-being. For a variety of reasons, most people don’t or are not able to sustain regular practice. Enjoying a plant-based diet, moving, taking time for rest and contemplation, and connecting with family like-minded people are components of a life that keep things in dynamic balance. Your unique variation on that lifestyle fuels your life force – healing is a feeling. But life, for nearly everyone, inevitably becomes imbalanced. It is our nature and indeed the nature of life here on earth to become imbalanced. I also think that feeling bad about ourselves is overall the largest chronic health problem. Please please don’t feel bad about the choices you make. It’s the critical first step to change. The opportunity of imbalance is to learn more about who you are and why you are here. You can become a discerner of the array of therapeutic options from evidence-based and wisdom realms, or find others you trust to help you sort it out. You can become a students of who you are – each of us are unique, and what works for someone else will not necessarily work for you. Then you can become a thoughtful experimenter of what works. With time, life comes into a (often new) balance. Dynamic, changing balance that requires ongoing tending and practice. It’s a long-term project and a lifelong dance. The alternative, for many, is to get sick before your time. You can do this. I’m honored to share what I know to show you how. What’s your health philosophy? What’s most important for your health and well-being? What’s old is new again (am I getting old or is this a repeating theme in life)? My teacher says life is a spiral and I continue to see the evidence that she’s right. I have so much enjoyed learning the ancient science of Ayurveda, and how my brilliant colleagues are applying that beautiful nature-based system to modern health care. The yogis and yoginis are feeling prescient when we see the smattering of studies on yoga, meditation, mindfulness and that, in small studies, these modalities appear to change gene expression. Quickly. Impressively. Check it out. We’re at the beginning of a upward curve in the popularity of Ayurveda, and we’ll be hearing more about it as this system is viewed through a modern lens. The bookshelf of Ayurveda is exploding and we’re finding our intellectual leaders busy busy busy. Friend and colleague Hilary Garivaltis is traveling the country setting up Aurveda schools for yoga centers, and attendance at Kripalu’s really wonderful School of Ayurveda has more than doubled in the past couple years. Come to Kripalu and learn about this ancient traditional system that was the original integrative medicine. The body knows. The body remembers. Can’t say it any more simply than that. Our bodies are the record of our lives (including our ancestors). All of what we do, think and believe is woven into the soft tissue of our fascia. If we spend our lives thinking we are not good enough (and I think this has somewhere somehow been programmed into us…Tom Kenyon says our creator did it!) in the end we in fact are not. Bummer! Yet the same person can focus on appreciating who they get to be, and a whole other body, whole other “resting face” are created. There are times when I’ve been rolling in the angst, when I can feel a tightness in my face as a drift off to sleep. That’s an indicator! I can soften and open as I age, or get bitter, brittle and hard. It’s not up to anyone else but me. To learn what your body knows, do any body-mind practice regularly. Show up for it every day, or very nearly every day. It is showing up for yourself. My recommendation is predictable – come to Kripalu. For almost any program – follow what pings for you. Our ancestors, and not too too many generations back, had a wide array of botanical wisdom at their fingertips. We’ve outsourced that to our local pharmacy. But if you look around, people in every corner of the country are foraging, taking herb walks with the local herbalists, and checking out the botanicals in their own back yard. Please don’t wait to get a degree, but use your senses and good sense and a editable plant guide to find your way to better health. (Do be aware of the plants in your region that can, as my teacher says, heal you dead). Get herbal and learn about learning more at Mountain Rose Herbal. OR study with Pam Montgomery or my friend Brittany at Thyme Herbal in Northampton, MA. How does the Atkn diet square with the fact that many environmentalists say we are past the global tipping point? Isn’t the meat-based version of Paleo in that same sink-the-earth boat? From Eco-Atkins to grass-fed local to values vegan, the choices we make about what we eat impact more than ourselves. There is more opportunity than ever to be a food activist – beginning at your own table. Sustainable table is one place to start. 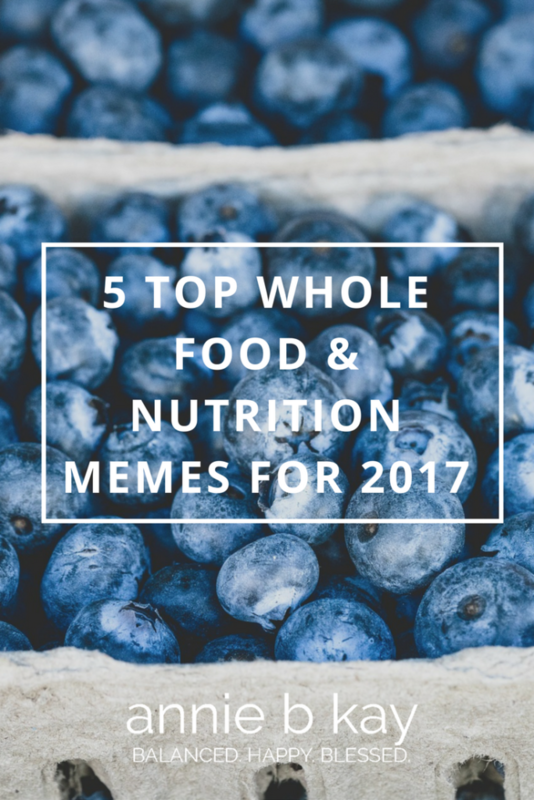 What are your top trends in nutrition now? Fascinated to hear! I’ve come to the conclusion that a tsp of psyllium seed husk in a quarter-cup of water 20 minutes before meals just might be the easy answer for those who struggle with weight and have cravings (especially sugar cravings) or just feel hungry a lot of the time. 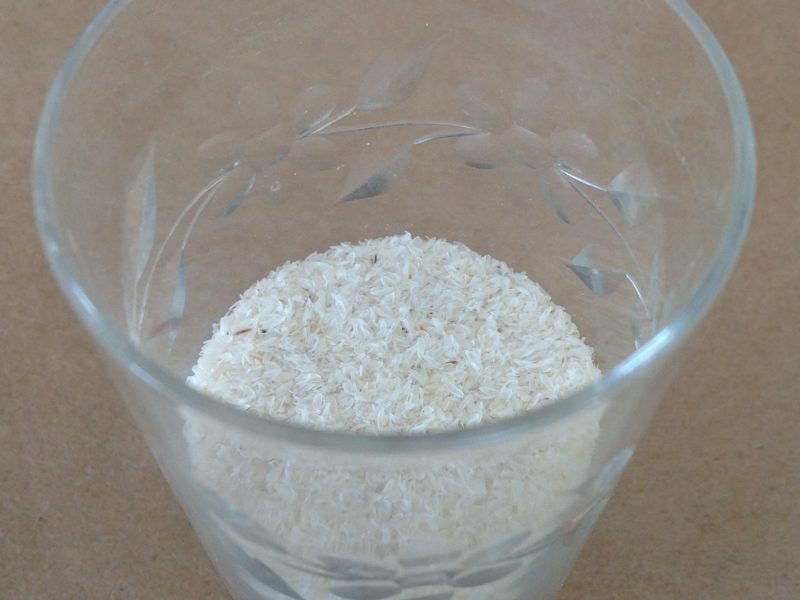 Psyllium seed husks contain soluble fiber, which expands in water like a sponge. The same thing happens in your GI tract – it bulks up with fluid, triggering your stretch receptors that tell you that you’ve eaten something. By taking it before meals, it in essence increases your fiber load which fills you up faster, modulates (in this case slows) the rate at which carbohydrates (like sugars) are absorbed from the GI tract into the blood stream, and modulates (in this case lessens) your appetite. Pretty simple. Fiber is nature’s appetite suppressant, and most Americans get way less than what is recommended for health. Here are a couple of the products I’ve used as a fiber boost. Have a quarter cup of beans or lentils 20 minutes before sitting down for a meal. Get creative and make them salads with herbs, or breakfast beans with hoisin. Enjoy a generous serving of salad 20 minutes before the rest of your meal. Have an apple or other fibrous fruit 20 minutes before dinnertime. Remember that FLUID is important when you take psyllium or other fiber supplements. Drink lots of water – I drink a full glass of water right after a psyllium shot, and then am aware of the other fluids (coffee, herbal teas and herbal waters) that I boost when I’m in full psyllium practice. There are reports of pallium blocking people’s esophagus and causing obstructions. All the fiber supplements have this warning. So, drink lots of water. If this makes you nervous, start nice and slow – 1/2 tsp in 8 oz water, for example. If you’ve had or have a GI obstruction-prone condition like Crohns or colitis, or have had a bowel resection, talk to your healthcare pro, and do this under the supervision of your skilled nutritionist. 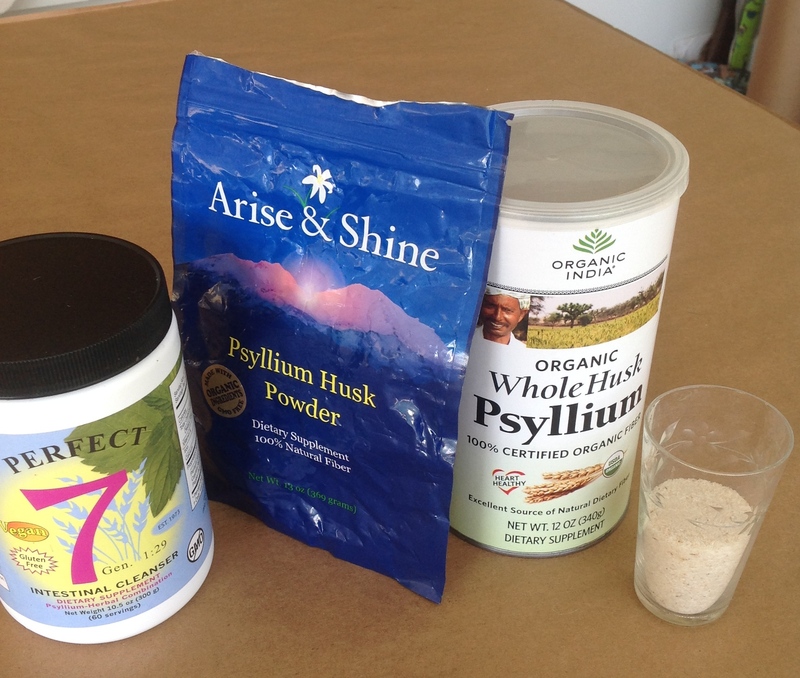 Enjoy the psyllium experiment! And report back – what works for you to “bulk up”? Cultivate an attitude of gratitude: Remind yourself of the people and things that make you feel grateful. Develop your compassion: Try to be kind to yourself and others. Get outraged to get motivated: check out www.aboutface.org to see just how soul-destroying advertising can be. Reward yourself: Develop a list of non-food rewards and honor yourself liberally. Empower yourself: Remember each of us is responsible for the life experience we create. Celebrate you body right now: What is beautiful about it? What is your best feature? Let how you feel about your best feature inform the areas you don’t feel so good about. Trust yourself: You know who you are and what to do to let your truest self shine. Be a flexible gatekeeper: can you eat and care for yourself in a loving way that allows for everyday health and occasional healthy splurges? Cultivate positive thoughts: when you notice a judging or negative thought, can you turn it around and make it a positive one? Nurture yourself: What can you feed your body and your soul and your spirit to let it grow. 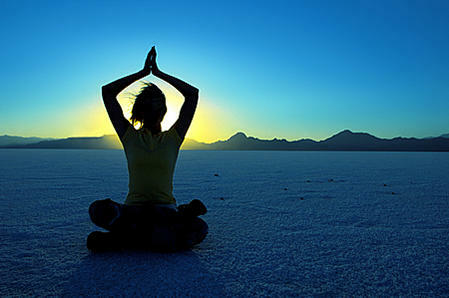 Relax: Take one-minute or even a five-breath pause though the day to center yourself and release tension. Nice n’easy: Make small easy changes, and over time you’ll see big results. Connect: Cultivate positive relationships with family and friends. Celebrate your uniqueness: There has never been another being just like you, and there never will be again. Develop your strengths: what do you feel passionate about? How can you bring more of it into your life?